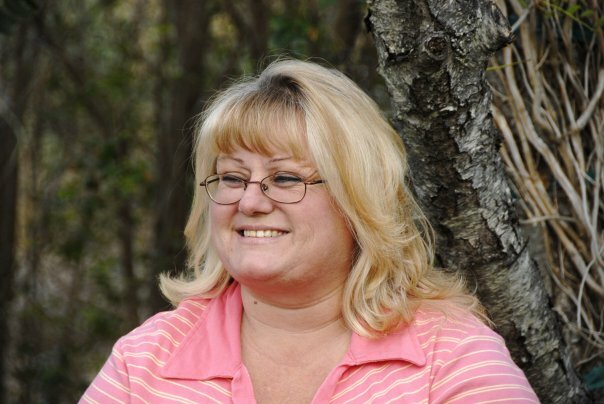 Viola M. Wilkinson, 58, of Poquoson went to be with her Heavenly Father Friday March 29th, 2019. Viola is proceeded in death by her parents Claude & Opal “Cackie” Carr, and brother Claude “Bunkie” Carr. She is survived by her husband of 38 years, Jimmy Wilkinson; daughter Tillie Dowd and husband Andrew; son Trae Wilkinson and wife Allie; grandbabies: Emalynn, Ava, Macie, and Riley, her sister Margaret Connell; several nieces, nephews and cousins; and lifelong friends Mel and Rahe Insley. Her greatest joy was being a Mamaw. She also loved caring for her dogs, camping with her family, cheering on her Redskins, drinking her Diet Mountain Dews, and spending weekends at Ft. Shenandoah skirmishing with family and friends. A Memorial service will be held at Trinity United Methodist Church Saturday, April 6th, 2019 at 3:00 PM with a reception to follow in the Multipurpose Room. Family is gathering at 85 Lodge Rd.